The Poley Mountain ski hill outside of Sussex, New Brunswick, in Canada is having a little problem. 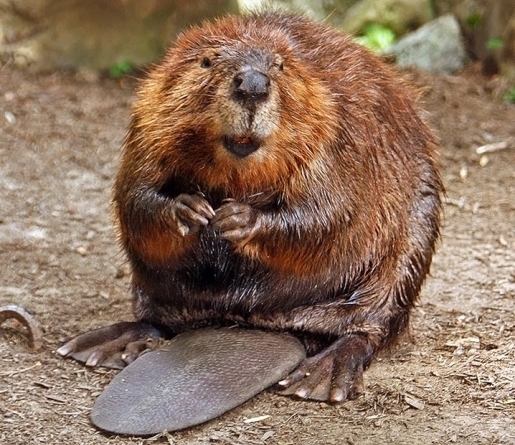 Specifically, there’s a problem with beavers at the ski resort. Ski resorts don’t seem like a place for beavers to hang out, but at Poley Mountain, the water used to power the snow machines is stored in a retention pond. That’s where the beavers come into play. Beavers have taken over Poley Mountain ski hill’s water retention pond, and are using their dams to block off the water siphoning pipes! The beaver problem is so widespread that Poley Mountain cannot get water from their own retention pond. Poley Mountain is actually bringing in water at a higher cost from another site because they can’t beat the beavers. While there’s plenty of natural snow for skiing with flare, the beavers keep clogging up the water pipes and may cause difficulties when it’s time to extend the snow season into spring.